Graphic and packaging designer Samantha Dumont is on a mission to make the mundane everyday objects in our homes fun and aesthetically pleasing. To launch her inaugural collection for new British lifestyle brand Atissu, she turned her finely tuned senses to the humble tissue box which until now has either been practical and ugly or made to resemble a find from a Morroccan souk. Dumont's stylish creations should help consign those horrors to the proverbial dustbin. By collaborating with illustrators and textile designers, her 10-strong range is fresh and diverse, appealing to children and adults alike. 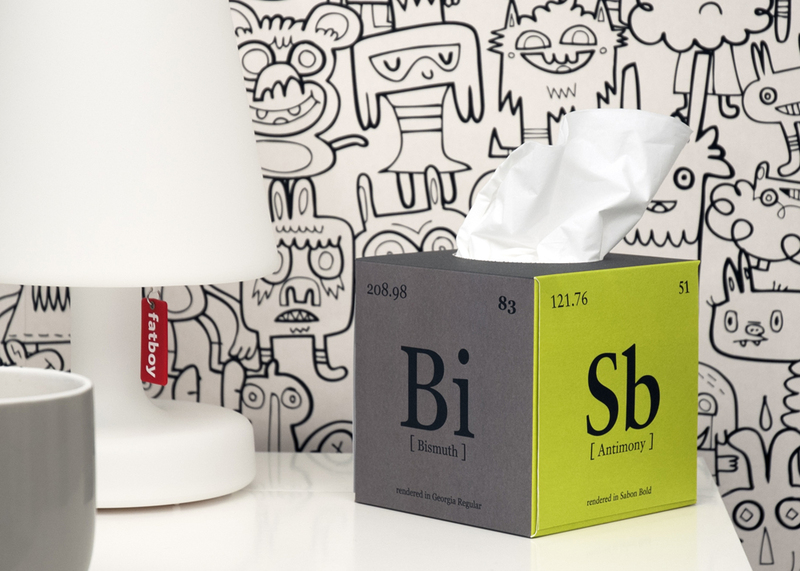 We love the cute animal faces, sharp graphic patterns (including chevrons and stripes) and elements from the Periodic Table! 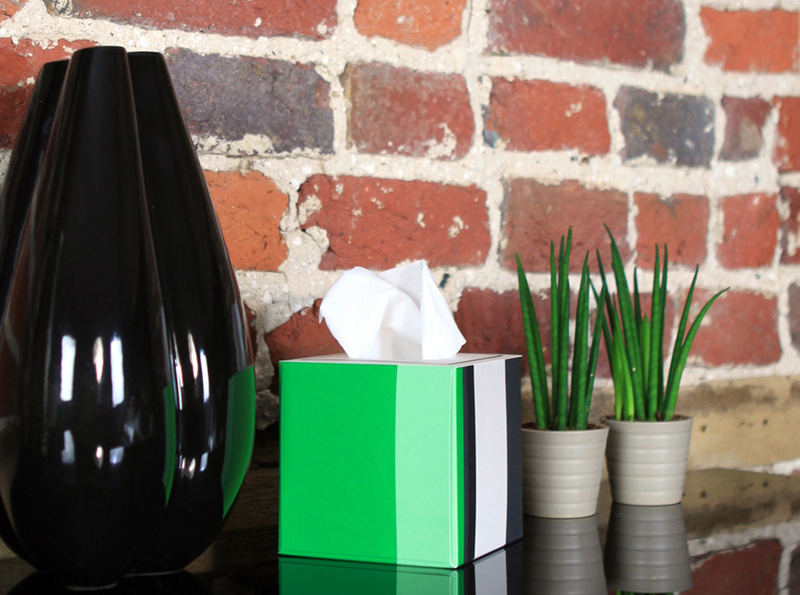 Made in the UK from responsibly sourced materials and printed with eco-friendly inks, this is one set of snazzy tissue boxes that no modern home should be without.